Lowestoft based boxer Craig Poxton (13-4, 2 KOs) currently holds the Southern Area Super-Featherweight title. Poxton is very experienced, has a good work rate with well refined boxing skills. Lyon Woodstock (9-0, 5 KOs) currently holds the Midlands Area Super-Featherweight title. 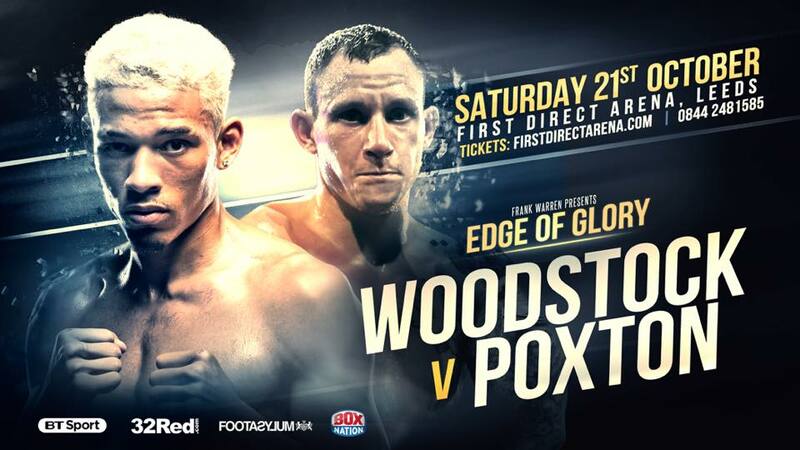 Woodstock is an unbeaten prospect from Leicester, he is known for being a power-puncher and KO artist. Also on the undercard is the British Super-Lightweight champion Tyrone Nurse (35-2-2, 7 KOs) who defends his title against the undefeated Jack Catterall (18-0, 10 KOs). JJ Metcalf (16-0, 8 KOs) competes in a British Title Eliminator against Damon Jones (15-1, 3 KOs). You can get tickets directly from the boxers or from First Direct Arena (firstdirectarena.com) priced at £30 (Upper Tier), £40 (Lower Tier), £60 (Floor), £100 (Floor), £120 (Floor) and £200 (VIP/Hospitality).